Magistral Casino de Barcelona 2010 round robin tournament with ten players was held on 4-12th November at Marina Avenue 19-21 in Barcelona, Spain. 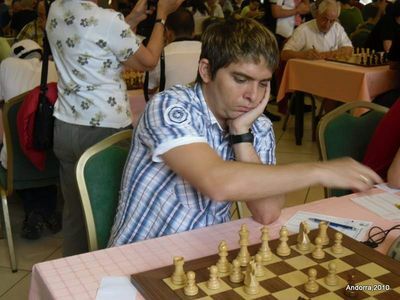 A large number of decided games jumbled the crosstable after each round, but two players, Ivan Salgado and Lazaro Bruzon, remained constantly in the chase for the winner’s trophy. Bruzon defeated Salgado in the first round, but then Spaniard proceeded to take over the pole position with six straight victories. Only in the last round, when Salgado drew Ernesto Inarkiev, Bruzon was able to catch him on the shared first place. Exactly the score from the first round brought better tiebreak to the Cuban, who was declared the champion.